Republicans, like Democrats, are not all the same. They subscribe to many beliefs, some of which are mutually exclusive and some of which are mutually affirmative. Since the 1960s, the base – that is, the most active, devoted, and ideological members – of the Republican Party have been conservatives. The differences between Orthodox Christianity and the Republican Party can be best illustrated by comparing the Orthodox Faith to conservatism. The words “orthodox” and “conservative” both can refer to those ideas and practices that are long-standing, established, and time-tested. However, “big-O” Orthodox and American political conservatism are significantly different. None of these three values are theoretically at odds with Orthodox Christianity, but in common practice they often are. Pore over the Scriptures as much as you like, but you will find few if any passages declaring that the government should regulate the economy. Taxes are mentioned, and in the Gospels, tax collectors like Sts Matthew and Zacchaeus were despised by the people for their perceived corruption and collaboration with Roman occupiers. When asked about the legality of Roman taxation of Jews, our Lord pointed out that Caesar’s likeness was on the coinage of the Empire, so the people were to render unto Caesar what was his and render unto God what was His – that is, our selves (Mat 22:21). Critics point out that fiscal conservatism relies on charitable activities rather than government institutions to alleviate the suffering of the poor, that the free market favors those of certain favored social groups, and perpetuates economic disparities between the rich and poor. Conservatives would not dispute any of these criticisms with one exception: In a free market, all economic opportunity is (at least theoretically) equal, so success is limited only by individual endeavor and, to a small extent, the unintended consequences of government interference in the economy. In light of this, class differences are seen by conservatives as the consequences of individual choices, not the cause of individual success or failure. Indifference towards the poor can be a form of benign neglect meant to spur them on to better themselves. As Orthodox Christians, we cannot neglect those with less means than ourselves. We are devoid of God’s love if we who have enough do not show compassion on those who do not (1 Jn 3:17). The Epistle of St James teaches that our faith must beget tangible actions, specifically caring for the needs of the destitute. Notions of the worthy poor (those who deserve charity) and the unworthy poor (those who deserve poverty because of their choices) are alien to all those who love their neighbors as they love themselves, as Christ commanded. Historically, the Orthodox Church has always aided the poor, even in times of its greatest tribulation. It is not wealth but rather our attachment to it that damns us. The Bible teaches us not to love money, and that doing so is the root of all evil. (Eccl 5:10, Heb 13:5, 1 Tim 6:10) Love of money and things prevents us from loving Christ and from loving our neighbor. That’s not to say wealth is evil and poverty holy. Chrysostom also taught that the poor can be envious of those who have more and despondent about their state. The fact is that wealth, like poverty, is its own ascesis (spiritual struggle). So great is this ascesis that Christ says it is easier for a camel to pass through the eye of a needle than for a rich person to enter the Kingdom of Heaven. American history has proven the truth of our Savior’s words. As He has blessed our nation with more and more material prosperity, more and more of our people have turned away from Him. St Clement of Alexandria wrote, “Wealth … is like a snake; it will twist around the hand and bite unless one knows how to use it properly.” Consider how Christ favored the widow who gave all of the little she had over the wealthier people who had more to give but didn’t (Luke 21:1-4). His holy words should give pause to all who seek to enrich themselves materially rather than spiritually with works. The kenotic (self-emptying) example of Christ on the Cross should make us eager to give all we can, as He did for the life of the world. Holy Tradition is “the life of the Holy Spirit in the Church,” according to 20th century theologian Vladimir Lossky. It includes Scripture, the Holy Mysteries, the God-guided wisdom of the Fathers of the Church, and our church’s services. Tradition has preserved our Faith once delivered to the saints to this present day and unites us as members of the Body of Christ with Christ in His Church. Secular tradition, of course, is something entirely different, even when it pretends to be holy. Our secular traditions in America have come from all over the world, but the most significant and influential sources have been from 18th and 19th century Europe, especially the British Isles. The English-speaking peoples of those days brought to this land not only their language but their Protestantism, stoicism, industriousness, moral values, common law and justice system, and a host of other cultural artifacts of their times. All people of all backgrounds living in this country have been steeped in Anglo-American culture to one degree or another. For many conservatives, the less Anglo-American something is, the less American it is. The Orthodox Church, with its ecclesial practices and cultural roots in the eastern Mediterranean and Eastern Europe, can seem very much at odds with Anglo-American culture. In fact, socially conservative Christian Americans who are not Orthodox might view the Orthodox Church of present day America as entirely foreign to them. It doesn’t help that in the past century, the United States has had difficult relations with most countries with large Orthodox populations (with the notable exceptions of Greece and Cyprus). Russia, Ukraine, Romania, Bulgaria, Albania, Czechoslovakia, and Serbia were all locked in a Communist alliance against the United States for most of the second half of the 20th century, and Turkey, Lebanon, Palestine, and Syria have spawned terrorists – some Muslim, some Christian – who have targeted the United States and her allies. Most Orthodox churches in the United States have strong cultural roots in or jurisdictional ties to these countries. Americans who are accustomed to services rendered only in English, complex worship music performed on or accompanied by musical instruments, worship space devoid of all or most iconography, congregational singing, extended sermons, services that end in under an hour, and emotionalism may not know what to make of a Sunday morning Divine Liturgy – let alone an akathist or the services of Holy Week! And that’s not even addressing the serious doctrinal differences separating the East from the West, especially the Protestant denominations. When social conservatives get past those differences, though, they find that the Orthodox Church’s teachings on most moral issues to be quite consonant with their own and respect the Orthodox Church’s steadfastness in a world of change. The traditional Anglo-American view of criminal justice warrants comparison to Orthodoxy as well. When this country was colonized by the English in the 17th century, the English justice system was profoundly stringent. The accused had few rights. Torture, flogging, and public ridicule were perfectly legal forms of punishment. Slavery was legal. 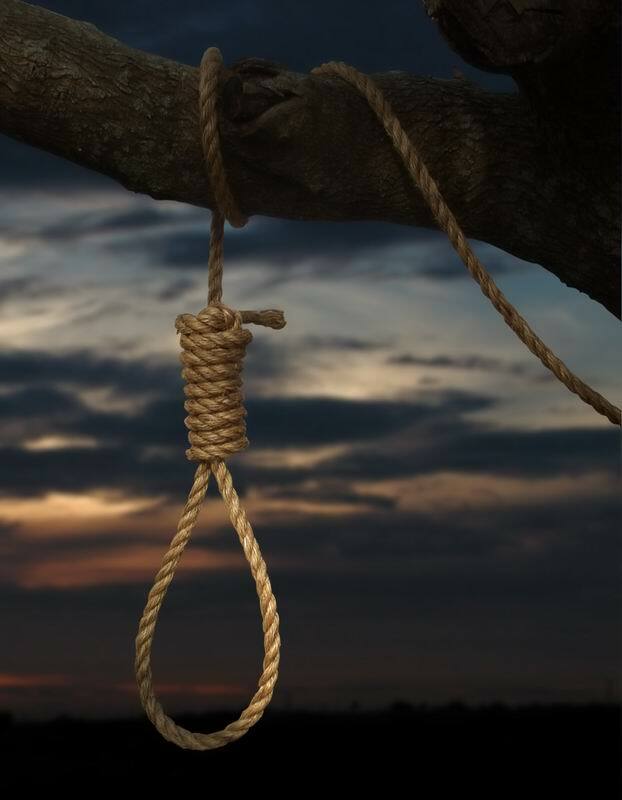 Juvenile criminals were treated as adults, including capital punishment. Inability to pay debts resulted in imprisonment. The Founders of this country sought to protect the rights of the accused, protect individual liberties, and moderate the more excessive punishments of their English forebears, but harsh punishment for criminals is still popular among American conservatives and often justified by selective use of Scripture. The Orthodox Church, however, witnesses to the need to show mercy to all. Christ teaches us to pray that Our Father forgive us our sins as we forgive others, and that the measure of forgiveness we give others is the measure of forgiveness we get (Luke 7:2). Furthermore, in a parable in Matthew 18, Christ teaches that God has forgiven us of a debt – our sins – far greater than any debt anyone can owe us. Our mercy is not conditioned on the apology or repentance of others. Christ on the Cross called on His Father to forgive even His killers and torturers as they were crucifying Him (Luke 23:34). It is necessary to protect the public from those who commit harmful actions, but Christ is the true Judge, not us. We are called to always love and show mercy just as God always loves and shows mercy on us. Too many social conservatives apply the Old Testament edict of “an eye for an eye, and a tooth for a tooth” to others and God’s abundant mercies to themselves. Finally, it cannot go unmentioned that conservatives give the military a major role in government and foreign affairs. Throughout American history, conservatives have swung back and forth between the poles of isolationism and interventionism while still supporting the military. Since World War II, most conservatives have advocated an expanded role for the use or threat of military force to solve international disputes and further American interests. The military may be the only government expenditure that conservatives, with the exception of libertarian conservatives like Ron Paul, consistently seek to increase. 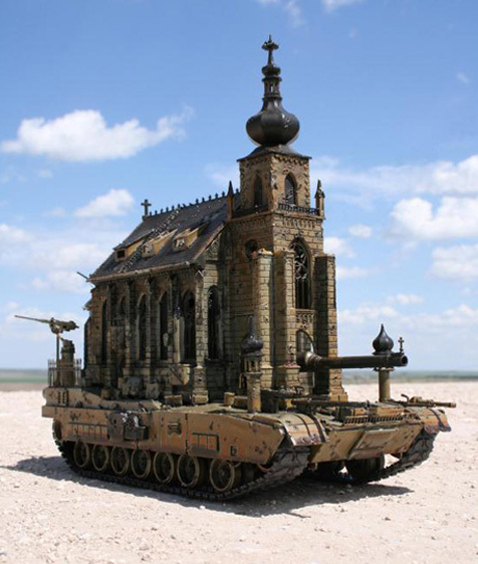 The Church, too, has had a complicated relationship with the military in its long history. In the Church’s earliest days, the Roman military was used to hunt down Christians, yet some soldiers in service to Rome became Christian saints, such as Sts George and Theodore and the 40 Holy Martyrs of Sebaste. St Constantine the Great began his conversion to Christianity after a heavenly vision before a major battle. 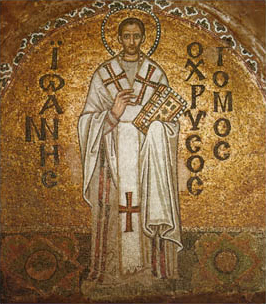 St Constantine later legalized Christianity, and when Christianity became the official Roman religion, wars were often cast as being fought by Christians against infidels. The unity of Church and State in early Christianity affected the Church. Clergy were awarded ranks akin to military ranks. The epigonation (the diamond-shaped cloth worn by some priests above their right knee) is a vestige of the scabbard that priests were required to wear in imperial times as an insignia of rank. The Great Litany includes a petition, now often omitted, praying that the nation’s leader and military will be granted “victory over every enemy and adversary” by God. In the Troparion of the Cross, we pray the Lord will “[grant His] faithful kings victory over the barbarians”. (English translations are usually less medieval-sounding.) Orthodox Christian armies have sought the protection of the Theotokos. Her icon has been processed before Russian and Byzantine warriors countless times during and before battle, and the Akathist Hymn to the Theotokos was composed in honor of her intercessions protecting Constantinople from siege. There are good Orthodox Christians in all political parties, but no political ideology is going to be wholly consistent with the Orthodox Faith. Those who choose a political party will love certain policies and candidates while having to hold their nose about others. Fortunately, the Orthodox Church does not force us to make such choices. She exists entirely and only for our sanctification and salvation in Christ who dwells in her by the Holy Spirit. As we pray after partaking of the Eucharist, “The Church is revealed to all as a brilliantly lit heaven leading the faithful in the way of light.” The Orthodox Church has no evils, so there are no lesser-of-evils from which to choose. This entry was posted on Friday, April 15th, 2011 at 10:18 pm and is filed under Uncategorized. You can follow any responses to this entry through the RSS 2.0 feed. You can skip to the end and leave a response. Pinging is currently not allowed. 1. It is interesting that militarism is given as a conservative principle but military non-interventionism isn’t given as such a principle. I’ve heard plenty of Republicans, Bob Dole among them, refer to “Democrat wars”. 2. The authors use of “we” is confusing. When he ways “we” are called to show mercy, does he mean we Orthodox Christians? Does he mean the State? I can show mercy because I died with Christ. When I was baptized I gave up all rights to follow Jesus. So, when someone hurts me I can be merciful. But when a judge is dealing with a criminal, does he have a right to be merciful? He sits in the place of God and justice is required. If he is merciful to the criminal is that justice for the victim? Failure to exact vengence on behalf of the law leads to contempt for the law, not just by criminals but by those who need the law to defend them. It would not be right for the priest to sit as judges. Let the priests and all Orthodox Christians visit those in prison and show them mercy (Our salvation depends on it!) but let the judges be judges and enforce peace in society. Good article. One issue left out, however, that divides the two political parties and that should be addressed by the church, is abortion. 1. By ignoring the overwhelming pall of abortion that looms over our nation and world, this reflection on political conservatism rings hollow. You cannot argue for government involvement in social welfare and charity while implicitly supporting a political party that refuses any effort to protect the lives of unborn human beings. From the standpoint of government what is more fundamental: to feed the poor or to keep people from killing each other? If a state cannot protect the weakest and most vulnerable members of society – the unborn – then whatever other social welfare it does provide is negligible, provisional, and inherently unstable. 3. I have yet to encounter a president for whom national security effected by a robust military force is not a top priority. Social conservatives have no monopoly on this issue.